Trainer Robbie Laing and jockey Hugh Bowman will attempt to win another feature staying three-year-old race when they team with Stars Of Carrum in the Australian Derby. They combined to win the 2013 Victoria Derby with Polanski while their only other Derby pairing was in the 2016 Victoria Derby when fourth with So Si Bon. Stars Of Carrum heads straight to the Australian Derby (2400m) at Randwick on April 6 after running fourth behind Self Sense in Saturday’s Mornington Cup. Laing said he phoned Bowman and his manager on Sunday offering the ride and after studying recent replays, they decided to take up the offer. “They thought looking at his runs he was a horse on the way up while some of the others might have already hit their peaks,” Laing said. Laing was happy with the way Stars Of Carrum hit the line in the Mornington Cup (2400m) when beaten just under two lengths. Stars Of Carrum lost his position at the 800m-mark before being held up behind horses near the home turn. “He’s run home his last 200 metres in 11.5 seconds and his last 50 metres was his strongest,” Laing said. 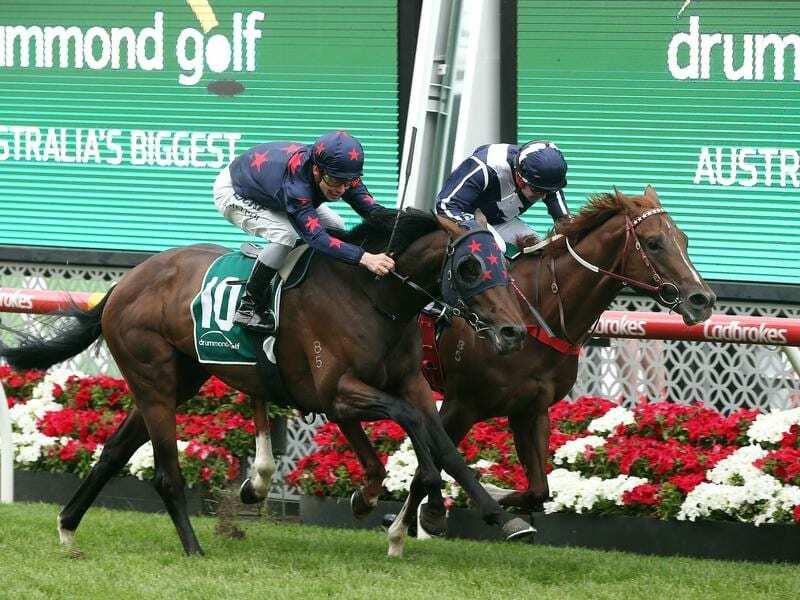 Stars Of Carrum won The Vase at Moonee Valley last October before running a closing second over 2500m behind Extra Brut in the Victoria Derby. Saturday’s Mornington Cup was Stars Of Carrum’s fifth run this campaign and Laing said he would be at his fittest in the Australian Derby.